In the game on the fruitmachine All Ways Fruits of Amatic, the fruit symbols are, as the name of the machine suggest, the most important. 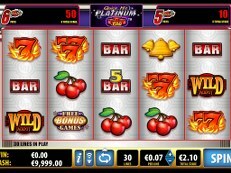 This slot has many paylines and features and each piece of fruit stands for some credits. Most credits on the casino slot All Ways Fruits will be payed by the 7 symbol. There is also a bonus symbol in the form of a complete fruit cocktail, and if this symbol appears 3 times on the reels, you get 7 free games. 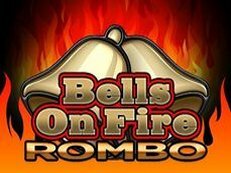 Try this slot machine for free online. 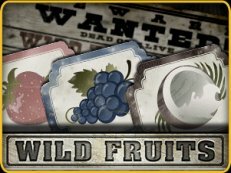 The scatter symbol in the All Ways Fruits slot is a simple symbol that reads bonus. By getting three of these in the reels from a spin you will receive 7 free spins. 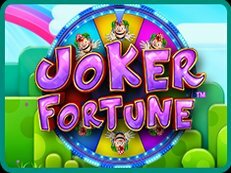 The more bonus symbols that appear in the reels will determine how many free spins you get, if four bonus symbols appear the you will get 10 free spins.